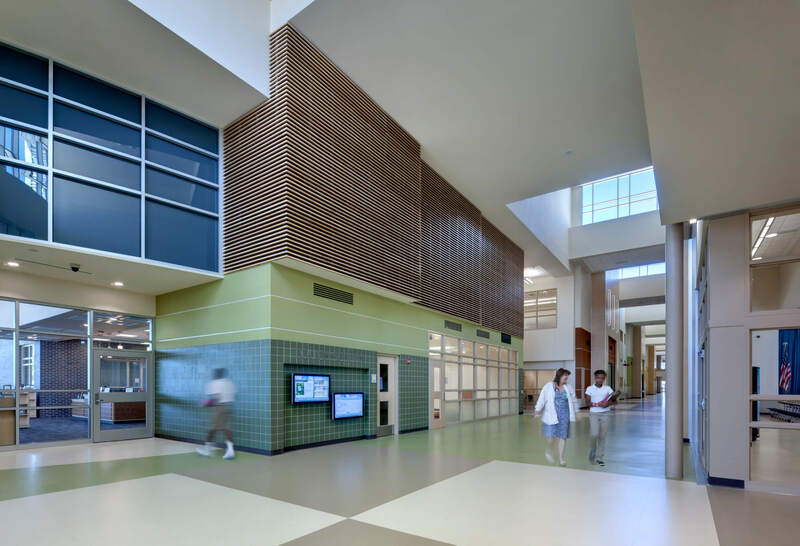 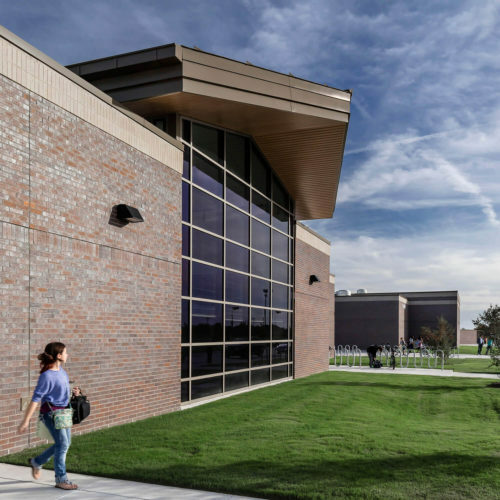 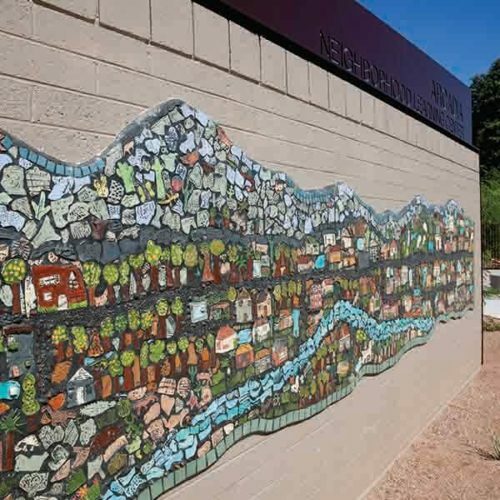 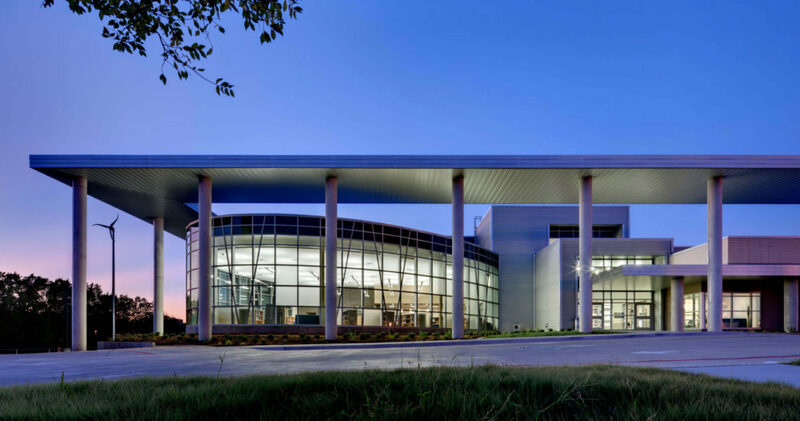 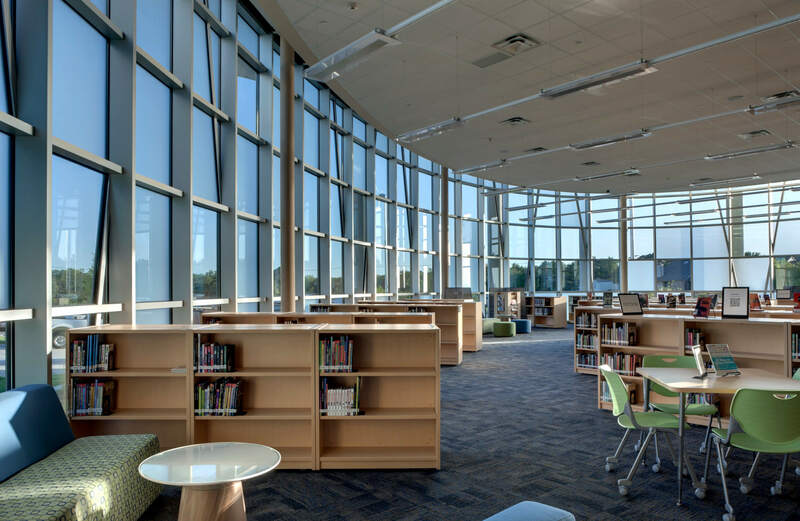 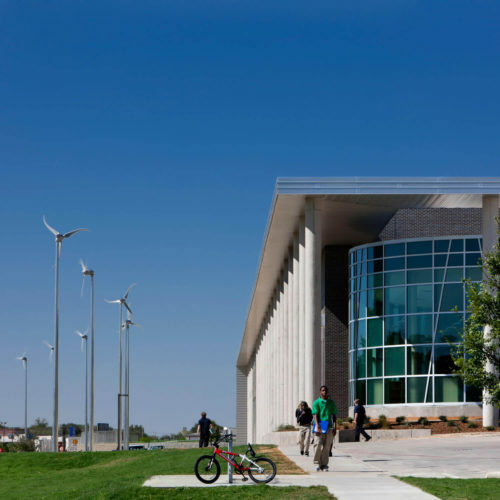 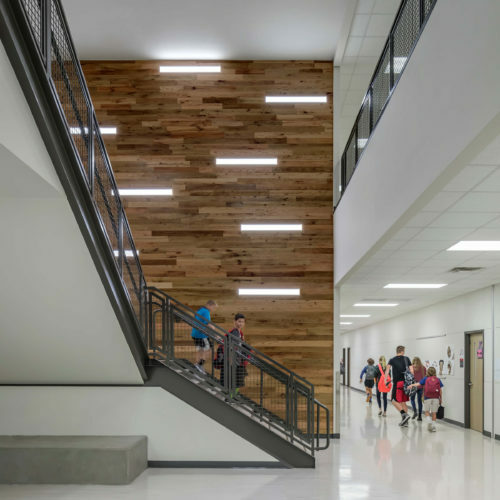 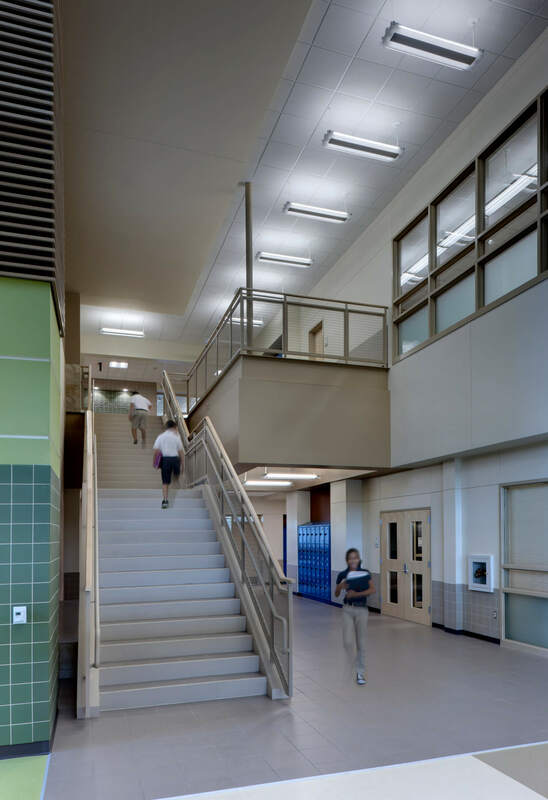 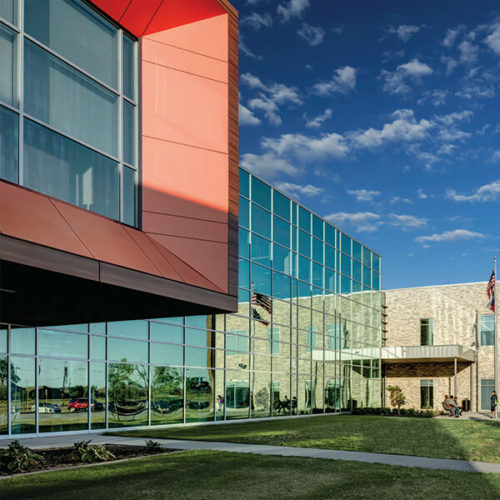 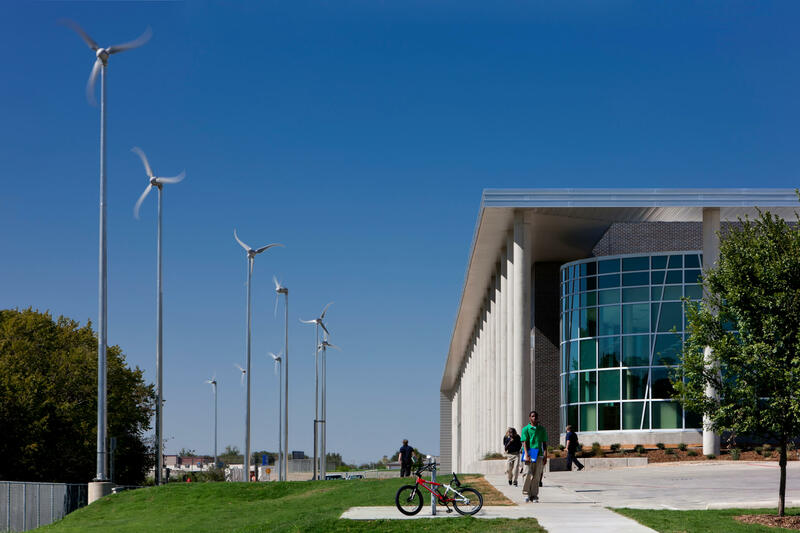 Lady Bird Johnson Middle School is the first net zero energy school in the State of Texas, and at 152,250 SF, the campus is the largest net zero educational facility in the country. 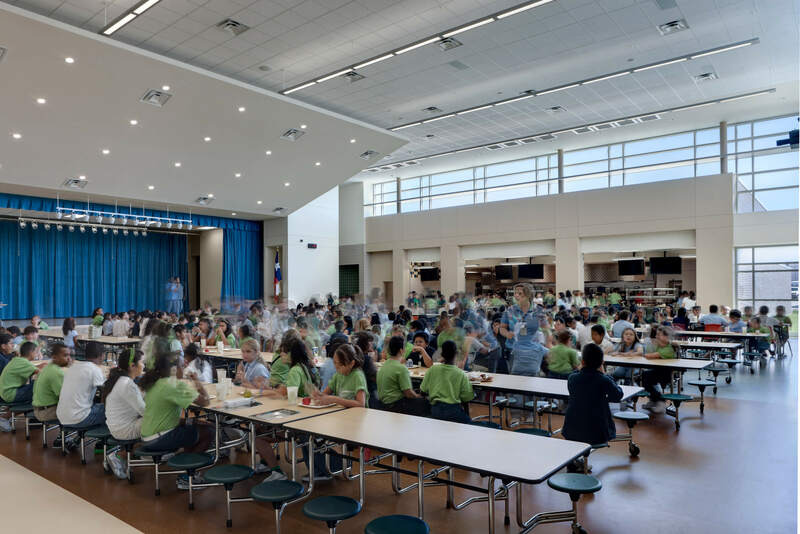 This is the eighth middle school for Irving ISD and serves approximately 900 students, sixth through eighth grade. 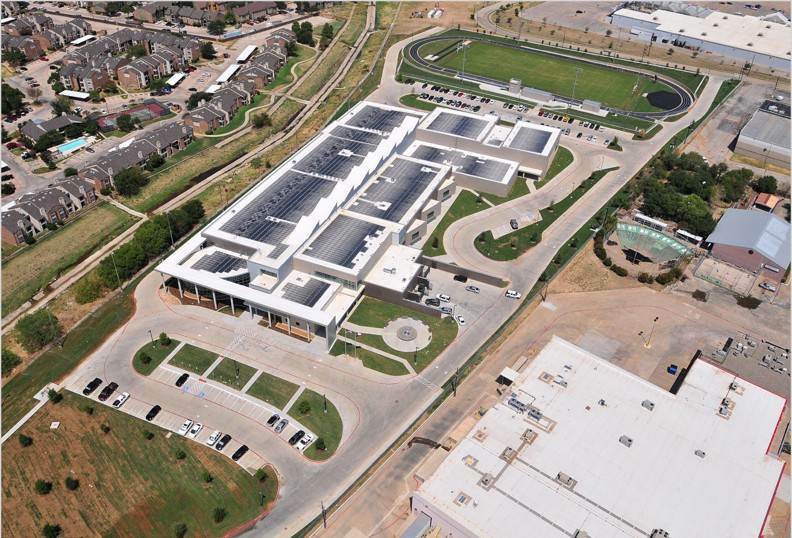 The state-of-the-art facility is designed to provide as much energy on-site as it uses over the course of a year. 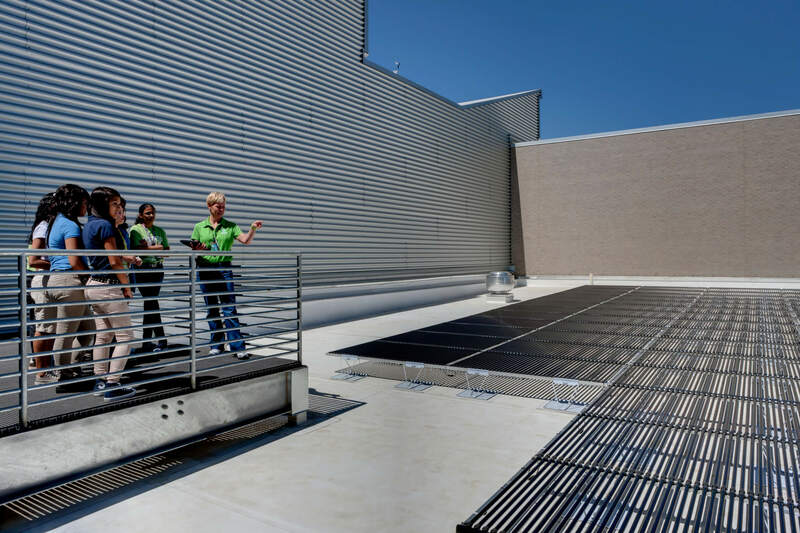 The energy efficient design reduced the average energy building use over 50% and offset the remaining energy with a roof mounted solar array. 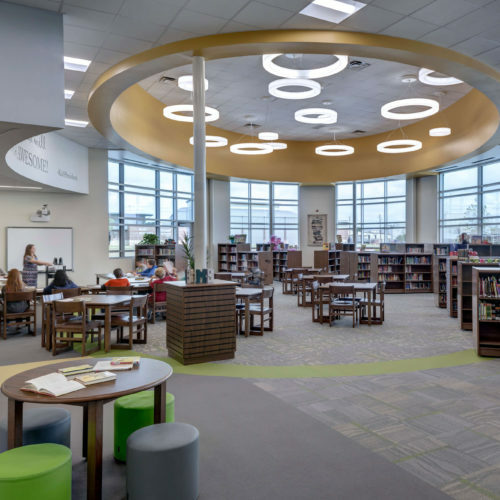 The sustainable systems used and the energy data gained through and online platform allow the district students to access real time information that is integrated into the district wide science curriculum. 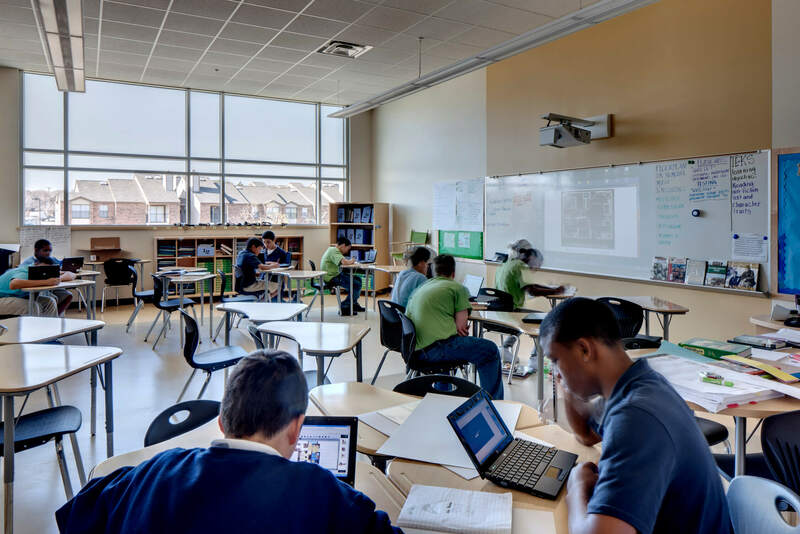 Students are provided with laptops, iPads, and hand held devices in this wireless environment enabling them to maximize the facilities flexibility. 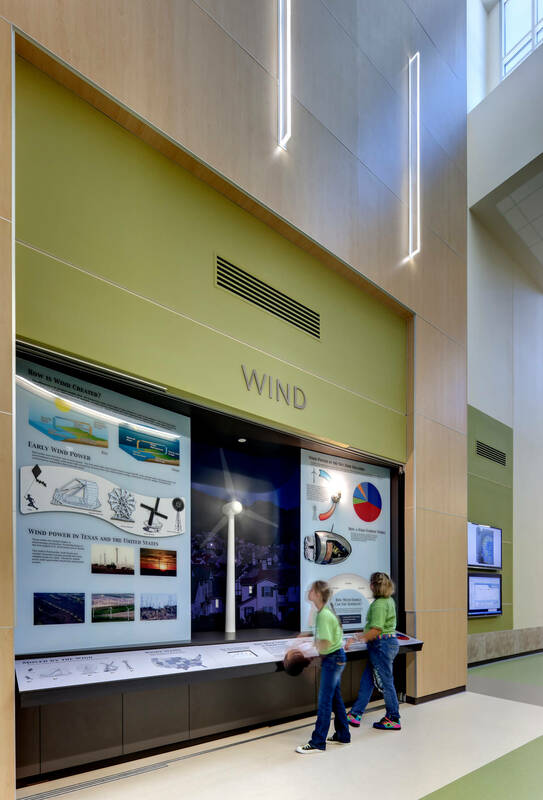 Interactive projection systems further support the small group learning in the project based learning environment.